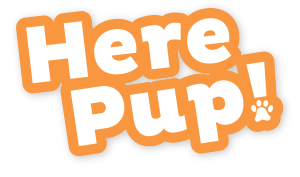 Orijen Dog Food Reviews, Ratings, Recalls, Ingredients! 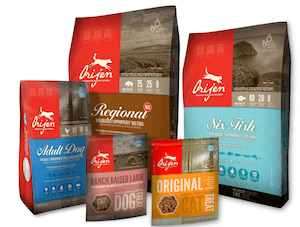 ​Orijen Dog Food Reviews, Ratings, Recalls, Ingredients! Orijen Dog Food is a Champion Petfoods brand whose mission is to help you serve and nourish your dog with the food nature intended for him. With a rousing amount of well-balanced premium components, Orijen Dog Foods is formulated to support your dog’s ideal body conditions - strong teeth, strong bones and optimal digestion. 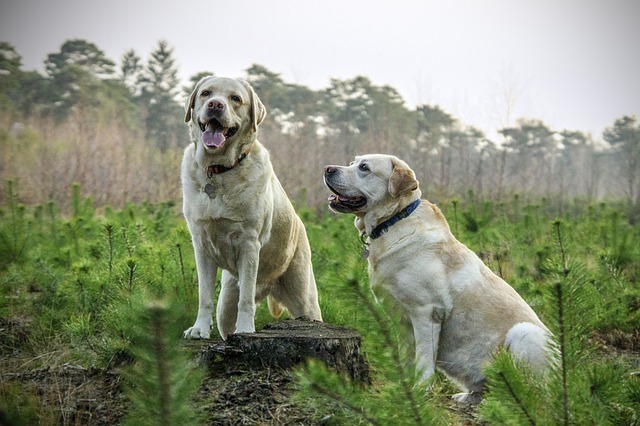 Although the Orijen Dog Food brand has been on the market for about 10 years, Champion Petfoods has been producing fresh, high quality foods for over 40 years. Based in Alberta, Canada the company regionally sources all of its ingredients from wholesome farms and lakes. Explicitly focused on providing dogs with a biologically appropriate diet, Orijen Dog Food is made up of high protein, hearty meats, with minimal carbohydrates and no grain, which closely reflects the natural environment of their carnivorous canine ancestors. Orijen has a formula for every stage of your dog’s life. The brand consists of 7 dry dog foods, 3 freeze-dried foods, and 8 freeze-dried treats. The company does not currently manufacture any canned foods. However, Orijen Freeze-dried foods are a great alternative for any dog who prefers to have a wet meal. Since its launch 2006 Orijen dog food has received numerous accolades for its innovative practices and food quality, including being the 1st pet food facility, to receive a Design-Build Institute of America (DBIA) honor for their new Kentucky kitchen, which opened in early 2016. Quality assurance is an essential part in Champion Petfoods manufacturing. The company never outsources its products. They exclusively make their food in their own kitchens. The American Association of Feed Control (AAFCO), Federal and Drug Administration (FDA) and United States Department of Agriculture (USDA) have regarded their expertise on the freshness, handling, and care of Orijen products and facilities. Champion Petfoods has established relationships with suppliers who deem their contributions are guaranteed to be free of preservatives and safe for your pet’s consumption - even exceeding human standards. Reviews on Orijen Dog Food by pet food industry experts show tremendous approval for the integrity of the Orijen Dog Food brand. This company has gone above and beyond to satisfy their requirements and more. Voted 1st in Top Dog Food Brands by Reviews.com, Champion Petfoods commitment to the nutritional integrity of Orijen Dog Food has proven to be successful. There are raving reviews of Orijen Dog Food on their Facebook page, Chewy.com, and the likes of many other pet retailers. Chewy alone has over 3,500 reviews! Nearly all customers across the board give this product 5 stars. People are genuinely pleased with Orijen Dog Food products. A common theme is that customers note shiner coats, better stool, renewed energy and appetite. Many agree that the food is holistic and salubrious, attributing their dog’s overall health, behavior and appearance to Orijen’s excellence. Although, Champion Petfoods ships to over 70 countries, it is only available online and in specialty pet stores. This could make it inconvenient for some pet owners to purchase. The real issue becomes price, which is no surprise! (Think buying a steak at 5 star restaurant expensive). Consumers on a budget may hesitate to spend (averages of) $90 for a 28 lb. bag of Orijen dry food. So if cost is of concern, you might want to look for foods that contain lower amounts of whole meats (or other high-protein sources). Less expensive protein substitutes for meat include eggs, dairy products and beans. Depending on the size of your dog, search for recipes that contain 25% to 35% protein content that still meet your dog’s adequate requirements. For a less costly but still high value alternative – try Blue Buffalo. While no other brand on the market seems to compare to Orijen with its high concentration of whole meats per recipe, Blue Buffalo contends in price and availability - selling both online and big box stores. Ultimately, investing in your dog’s diet is very important, but how much you can afford is individual to your circumstance. Here is the guaranteed analysis for the Regional Red formula, but for a full ingredient list or in-depth analysis of this or their other six formulas check out their website. ​There have been no recalls of the Orijen Dog Food brand in the last two years. Paws Down! Orijen Dog Food Is An Excellent Choice For Your Dog! 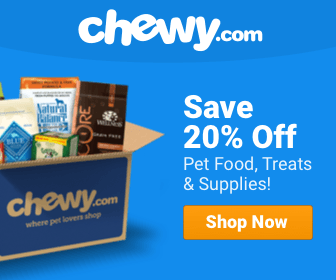 If your dog is already eating this brand - great! He might be eating better than you. If not, I strongly suggest, if it is financially feasible, for you to give it a try. Keep in mind that serving your dog a hardy diet such as this one might keep him happy, healthy and living longer. In summary, for my Orijen Dog Food review, this brand delivers on a providing your dog with the best biologically appropriate diet that mimics closely what their ancestral relatives would have eaten in the wild. Orijen has taken steps to assure that the ingredients and final product is of the best quality - most natural, free range, peak freshness, hearty and the safest for your pet’s consumption. Pro Pac Dog Food Reviews, Ratings, Recalls, Ingredients!